Carmel Ashwill, Cameron Park, Ca. my heart overflows with Christmas love. family gatherings, friends and love of the reason for the season! Almost midnight on Christmas Day and this charming video was a special touch to finish out the day. I enjoyed the different voices and how all the staff participated and coordinated their outfits. Have a very blessed New Year. Thank you for such a beautiful Christmas card. Loved every minute of it. Had tear in my eyes all the way through and also through all the wonderful messages. May you all have a blessed Christmas and a wonderful New Year. What a wonderful singing card! Thank you for giving all things beautiful. How Sweet and Beautiful!! Merry Christmas to all of you!! Absolutely delightful! Thank you to everyone for taking the time to share this wonderful message. God bless all of you. May the blessings of Christmas remain with everyone all year and may all of your 2015 wishes come true! Absolutely beautiful greeting. If anything embodies the feelings of the season, this card certainly does. It is without a doubt my favorite song and it was done fantastically. I really appreciated the fact you included your staff in sending the greetings as they are so much a part of giving us beautiful magazines and inspiration. Have a truly beautiful holiday season and a safe New Year’s Eve. LOVED this! Merry Christmas to all of you! Thank you for such a beautiful card! Thank you…that was beautiful! Merry Christmas and happy holidays to you Phyllis, your family and the entire HM family. Phyllis and Staff and Family, Just Beautiful… brought tears to my eyes! I wish I was home for Christmas back in New York State. Thank you for sharing this with us all. A very and Blessed Christmas to you all! P.S. Received my Tea Time and Victoria magazines today and will relax enjoying every single page this evening. Thank you so much! Loved the Christmas card. It looked like you were having fun. Maybe it could be a yearly Christmas tradition? Thank You. I wish I would be home grandma, mom, and Stevie. I will be in my dreams. So wonderful for you in your presentation to remind me of how valuable to be home. I will be in my heart. 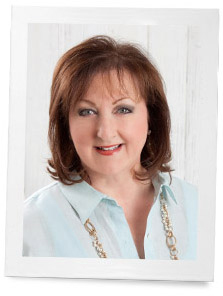 This southern girl at heart LOVES all things Hoffman Media. I am sitting here on a dreary Minnesota afternoon while baking the last of my cookies and drooling over my Tea Time, Celebrate and special holiday issues from HM. This video truly is one of the most heart felt greetings I’ve seen. Have a blessed holiday all of you. So lovely…so happy and expresses the reason for the season so beautifully. Thank you, Hoffman Media. Over the top! 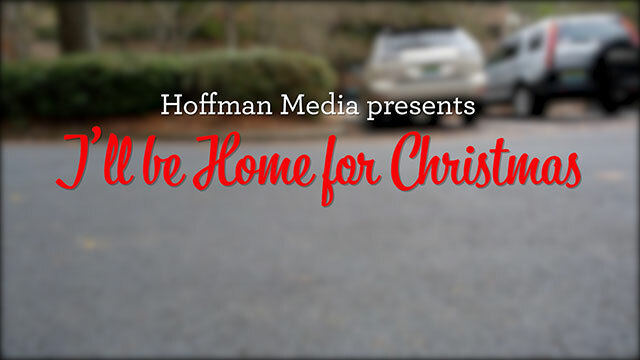 Blessed Christmas to you, your family and the Hoffman Media Staff, Phyllis and thank you all for bringing so much that’s beautiful into our homes. What a wonderful place to work…seeing the staff makes me appreciate all the work that goes into the production of so many amazing magazines & books. I just loved it. Beautifully done. Beautifully done. Looks like a fun place to work and fun people to be around. Merry Christmas to all of you. I watched it three times! It was great to see the people who make everything happen. Merry Christmas to all of you. Beautiful Christmas Card! I love it! Merry Christmas to all of you! I dearly love your magazines and all the wonderful ideas you share. Thank you! I LOVED it! Merry Christmas! Loved your singing Christmas card. Merry Christmas to all of you. How adorable! Every individual’s personality shone through! Thank you for letting us into your daily lives & work! I think I see a Christmas tradition starting! Thank you all for the beauty & graciousness you contribute to Hoffman Media and to us! You truly are blessed to be a blessing, and so you are! Phyllis, your magazines, books, and music have such a personal touch! This distinguishes what you do from all others. We become a loving family, connected by all you offer us! God bless all of you, and Merry Christmas! Merry Christmas to you ALL!! Thank you for the lovely greeting. Beautiful Christmas message. I want to work there :)!!! That was so lovely. Thank you! Merry Christmas! That was lovely. Thank you and Merry Christmas to you. Your card brought a smile to my face all the way through. Very enjoyable. Thank you and Merry Christmas to all! Merry Christmas to you all! Thanks for wonderful magazines, especially Cottage Journal. Thank you so much, what a nice Christmas video. Merry Christmas and a joyful New Year! I really enJOYed your card! I have watched it several times over. Merry Christmas to you, too!